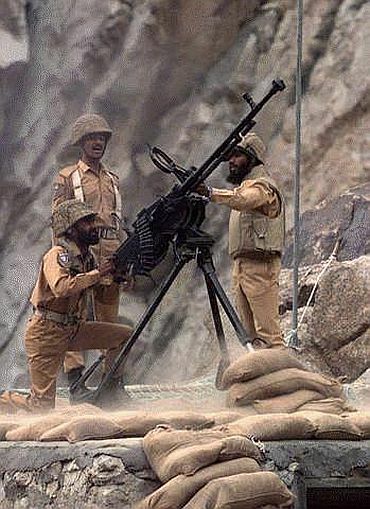 Eleven years after the Kargil War, the Pakistan Army which has been denying its role in the conflict has quietly put the names of 453 soldiers and officers killed in the battle on its website. 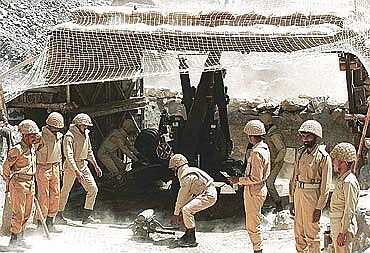 Proof of the involvement of regular Pakistani soldiers in the 1999 Kargil War over a string of strategic heights in the Kargil sector of the Line of Control in 1999 has come from an institution that spent years denying its role in the hostilities with India -- the Pakistan Army. The names of those who died in Kargil are tucked away in a list of thousands of personnel killed while on duty that has been posted in the "Shuhada's Corner" (Martyrs Corner) of the website. The very first page of the long list of martyrs includes the names of Capt Karnal Sher and Havildar Lalak Jan, who were both killed on July 7, 1999 in Kargil and awarded Pakistan's highest military award, the Nishan-e-Haider. The army also reveals the codename given to the operation to occupy strategic mountains and heights on the Indian side of the LoC 'Operation Koh-e-Paima' or Mountain of Resolve. In some cases, the campaign is also referred to as "Operation Kargil". 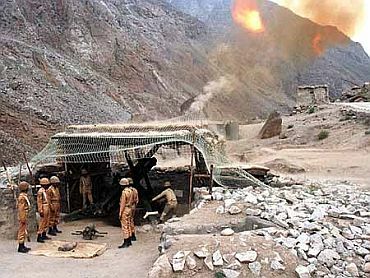 Several causes are cited for those who died in Kargil -- "killed in action", "enemy action", "enemy firing", "enemy artillery shelling" and even "road accident". The list gives the name, rank, unit, and location and nature of death of each casualty.